I’ve been really getting into virtual conferences lately, like WriteOnCon. They’re a great (and economical) way of hearing some wonderful presentations without, you know, putting on pants and leaving the house. The best of both worlds! With that in mind, there are two upcoming ways to hear me speak in September! One is run by the awesome Writer’s Digest University program. Another is something I’m launching independently, the very first of many webinars to come. 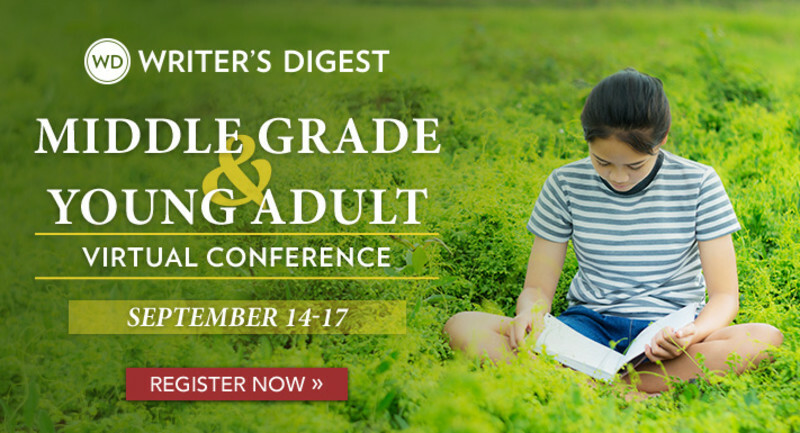 Coming up the weekend of September 14th, you can hear me and several other wonderful presenters discussing about topics specific to writing for middle grade and young adult readers! My specific presentation, all about character development and the topic of interiority, will be on Saturday, September 15th, at 5 p.m. Eastern. You can learn more about it and register for the event here. So why don’t you stay in your house, and I stay in my house, and I will come to you! A webinar is the perfect venue for doing just that. In the next few months, I will be ramping up a webinar program that allows me to speak directly to writers via an online video and audio presentation. Some webinars will be free, others will be paid (but include a critique element to really make them worth your investment). I love speaking, and I am so excited about this! WHAT: My trial run! 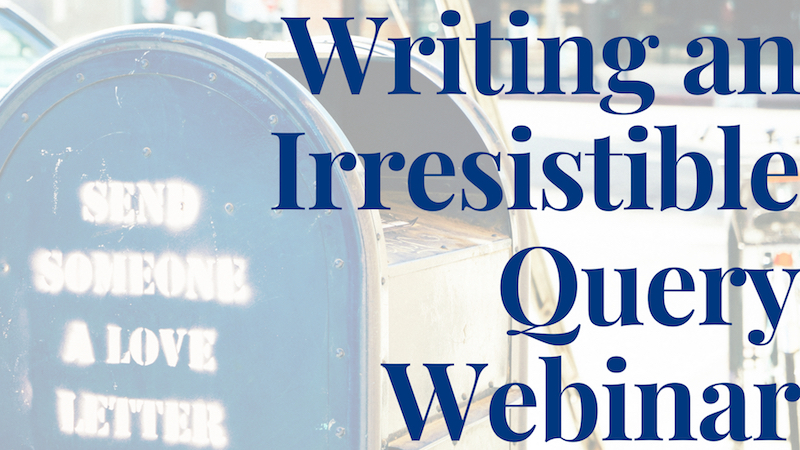 And there’s seemingly nothing more interesting to aspiring writers than the query letter, so why not talk about that? In the future, my query letter webinar will be paid because I will also provide critique on attendee queries*. For my first outing, I’m really interested in testing the webinar platform and process, so this is a chance to hop on, hear the presentation, give me feedback, and do it all for FREE! I will be trying out a new webinar platform. The process promises to be seamless, from registration to email instructions to joining the webinar. You will not have to download any software to participate. The only equipment you’ll need is a computer with Internet access. I’m definitely interested in feedback from attendees on the logistics of the webinar. If you could fill out a brief survey after your experience, I would really, really appreciate it. I look forward to connecting with you at one of these events in September! Thanks! I’ll post a sign-up link in about two weeks! Me too. I love your advice. Your book. And you critted something I wrote years ago. Must’ve been through a Writers Digest webinar. Wishing you lots of good fortune e and fun. Thank you so much, Alice! I really, truly appreciate your support. Woo! Truly looking forward to this! I’m looking forward to your Query Webinar! So excited to see that you’ll add this service to your offerings! Woohoo! Thanks for offering instruction on this much needed topic. I am looking forward to it. Really looking forward to this, Mary! Love what you’re doing! Next PostNext Query Letter Webinar Registration Is LIVE!